Mr. García is a graduate of the EscuelaLibre de Derecho, where he obtained his degree in Law in 1996, with the thesis "The Mexican Tariff System". He served in the Mexican Tax Administration Service as a Customs Procedure Supervisor and Customs Consultant. 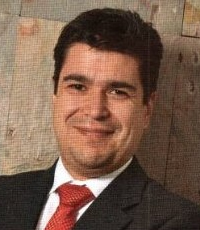 He continued his practice as Trade and Customs Manager in KPMG and as Associate at Chevez, Ruiz, Zamarripa y Cía, S.C. In 2004 he founded GarcíaSeimandi y Asociados, S.C., law firm specialized in trade and customs issues. He is an active member of the International Trade and Customs Commissions of the Mexican Bar Association, the Mexican Institute of Public Accountants, the Mexican Chapter of the International Chamber of Commerce and the National Association of Importers and Exporters of Mexico. Mr. García has taught customs legislation in the National Autonomous University of Mexico (UNAM), the Iberoamericana University (UIA) and the Monterrey High Studies Technological Institute (ITESM). He has been a speaker at various trade and customs seminars in Mexico and the United States sponsored by the above mentioned entities, as well as the Mexican Institute of Foreign Trade Executives, A.C., the Mexico Public Accountants College, A.C., the Maquiladora Association of Chihuahua, A.C., the American Association of Importers and Exporters, the US-Mexico Law Institute of the University of New Mexico and the US-Mexico Chamber of Commerce. He is coauthor of a book of foreign trade and customs basics for Public Accountants published in 2005. He has published various articles concerning trade and customs matters in various journals and specialized magazines, such as El Economista, Excelsior, Práctica Fiscal and IMMEXPORTA. Newton 286, piso 8, Chapultepec Morales, 11570, Mexico, DF, Mexico.